Starship and Super Heavy Rocket signify the dawn of a new age in space transportation. Together they will fulfil all Earth orbit needs, as well as taking us around the Moon and to Mars. 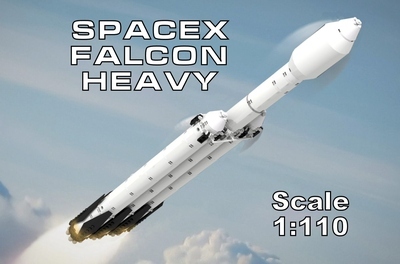 Designed to be fully reusable, this two-stage vehicle comprises the Starship and Super Heavy Rocket booster. Formerly known as the Big Falcon Rocket or BFR, it is expected to take its first test flight this year, with first launch in 2020. 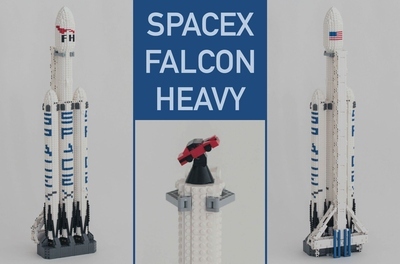 This collaborative project was created by “Saturn V Lego set” co-designer Valerie Roche (Whatsuptoday) and her “SpaceX – The Ultimate Collection” Co-Designer Matthew Nolan, along with fellow Lego fan designer Mark Nolan. 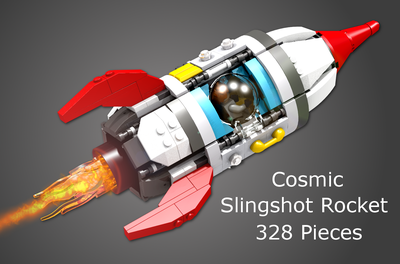 Here you can view all the pictures taken in super HD format (4K) of our design built in real Lego bricks. Please also visit our educational e-booklet to find out more about the creation and evolution of this project. Seven sea level optimized raptor engines. Two front canard fins with actuating motion. Three large rear fins, two of which actuate, and all three doubling as landing legs. 851 bricks and 35 decals. Diameter: 10 studs, 8cm or 3.14 inches. Height: 59.5 studs, 47.6cm or 18.74 inches. Wingspan: 20.5 studs, 16.4cm or 6.45 inches. 31 sea level optimized raptor engines. Four deployable black honeycomb titanium hypersonic grid fins. Locking mechanism to attach to Starship. 1169 bricks and 48 decals. Height: 77.5 studs, 62cm or 24.4 inches. Wingspan: 15 studs, 12cm or 4.72 inches. Inspired by SpaceX’s launch platforms, this stand enables the rockets to be realistically displayed ready for launch. At the top of the four towers are releasable clamps to hold the booster. Diameter: 26 studs, 20.8cm or 8.18 inches. Height: 9 studs, 7.2cm or 2.83 inches. The display can be tilted from 45° to 90°, with a complete description of the publish design (as at January 2019). 14 bricks and 1 decal. Width: 8 studs, 6.4cm or 2.51 inches. Length: 16 studs, 12.8cm or 5.02 inches. Height: 4.5 studs, 3.6cm or 1.41 inch. 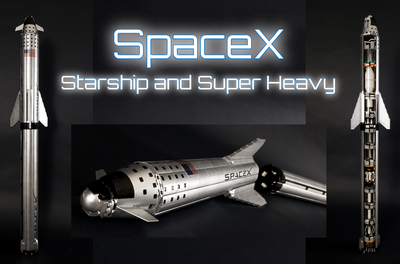 Check the updates soon to see more photos of the polished stainless steel version of Starship and Super Heavy, as recently announced by Elon Musk. 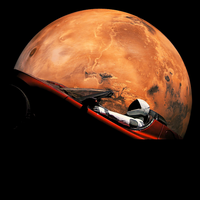 To find out more, visit SpaceX and Starship-Super Heavy. In thanks for your support, we’d like you to be part of The SpaceX Lego Ideas design team and suggest future enhancement and additions to the SpaceX fleet. Whether it’s the SpaceX Hanger, the fairing recovery vessel ‘Mr Steven’ or just an improvement…tell us in the comments and we’ll work to build your suggestions!